Maintenance strategies: Which one should you choose? If you spend any time reading about industry trends, you’ll know that predictive maintenance is getting more popular every day. The rise of the industrial internet of things (IIoT) is making it possible for organizations to use intelligent maintenance software to collect data and integrate with connected devices to get smarter about manufacturing. While this particular type of maintenance has been gaining popularity, it’s far from the only solution available to equipment-heavy organizations. There are a host of other maintenance types that work well for all kinds of organizations, from small shops drowning in paper work orders to data-driven enterprise operations for whom predictive maintenance is a reality. Let’s compare these types of maintenance to see which ones work best for different scenarios. We spend a lot of time extolling the virtues of preventive maintenance, but it’s far from the only maintenance strategy out there. There are many different approaches that you can mix and match, depending on your assets, your industry, and the size and experience of your maintenance team. 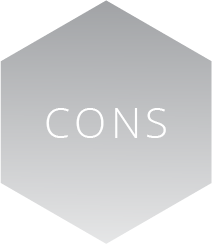 Today we’re going to compare the four most common types of maintenance strategies, their pros and cons, and when they are most effective. This article covers the most common strategies, but it’s hardly an exhaustive list. For more ideas, head over to our maintenance strategies and planning resources page. Also known as breakdown or run-to-failure, reactive maintenance is pretty simple: fix things when they break. Since repairs are not planned, it’s a good method to employ for equipment that is not essential for operations or has a low cost (think anything that’s rarely used or duplicates the function of other equipment). While it requires minimal planning, the drawbacks of reactive maintenance can be substantial if it’s not carried out correctly. If the approach is used for all equipment, there can be huge delays in production when a critical piece of equipment fails. Further, if you don’t have the right parts and supplies on hand, the costs for rushed shipping can become significant. In short, reactive maintenance often means more downtime and higher maintenance costs when it’s not used strategically. Also known as proactive maintenance, this method involves periodically taking assets offline and inspecting or repairing them at predetermined intervals (usually time or event-based triggers). The goal of this approach is to extend the useful life of an asset and prevent breakdowns from occurring. Many organizations employing preventive maintenance use CMMS software to trigger work orders when a PM is due. This allows a facility to automate much of its scheduling efforts, which is a key ingredient of this preventive approach. Because planning is done in advance, it’s much easier to have the right parts and resources on hand to complete each task. As with all maintenance types, there are potential drawbacks to relying solely on preventive maintenance. If the PM schedule isn’t regularly monitored, audited, and improved, “PM creep” can occur. This is when technicians get bogged down by unnecessary tasks and cost the organization time and money. Similarly, performing too many PMs can open the door for post-PM breakdowns. There are a number of ways to prevent this, but the risk gets higher as PMs get more frequent. The bottom line is, if a preventive maintenance program is used, it should go hand in hand with PM optimization. Predictive maintenance (PdM) aims to predict failures before they happen so maintenance can occur at just the right time. PdM uses data from machine sensors and smart technology to alert the maintenance team when a piece of equipment is at risk of failing. For example, a sensor may use vibration analysis to alert the maintenance team that a piece of equipment is at risk of failing, at which point it will be taken offline, inspected, and repaired accordingly. It is possible to carry out PdM via visual inspections of equipment, but the easiest way to establish a predictive maintenance strategy is by using a CMMS to track meter readings. The advantage of PdM (over PM) is the potential for cost savings from reduced man-hours spent on maintenance, and more insight as to the performance and potential issues arising with the machine. Additionally, a reliance on data and sensor information means maintenance is determined by the actual condition of equipment, rather than a best-guess schedule or gut feel. Of course, relying so heavily on data means that there is a higher up-front cost to ensuring this maintenance approach can thrive. Another thing to keep in mind with predictive maintenance is that you have to walk before you can run. For an organization coming from a pen-and-paper or Excel-based maintenance program, you have to first build on the processes and insights that preventive maintenance provides in order to build an effective predictive maintenance plan. Reliability-centered maintenance (RCM) addresses the fact that failure is not always linear. RCM is a highly-involved process that seeks to analyze all the possible failure modes for each piece of equipment and customize a maintenance plan for each individual machine. The ultimate goal of RCM is to increase equipment availability or reliability. RCM is considered complex because each individual asset must be analyzed and prioritized based on criticality. The most critical assets are those that are likely to fail often or will result in large consequences in the event of failure. Because each piece of equipment is analyzed on its own, it’s possible that the end result of embarking on an RCM effort is having as many different maintenance plans as you do pieces of equipment. RCM is very sophisticated, to the extent where it is not a realistic or necessary technique for every organization. It’s requires a very mature maintenance team that has mastered prevention, basic inspections, predictive maintenance, and has access to lots of existing data on their assets. Need a quick comparison of these four strategies? Check out the chart below for a quick rundown of each approach. 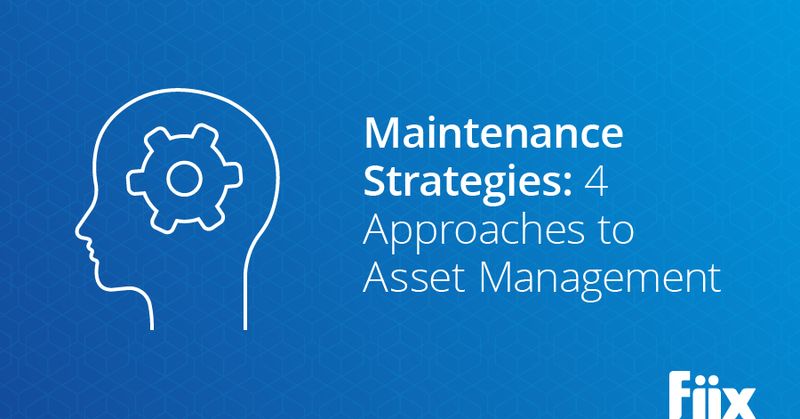 As you can see, each type of maintenance has its own unique benefits and shortcomings, depending on which asset we’re talking about, what stage of the reliability journey your organization is at, and the impact of downtime at your facility. Our recommendation is to start at the place that makes sense for your set of circumstances and keep growing from there. Eventually, you’ll get to a place where you can use a balanced maintenance program that takes all methods into account.